Sponsored by HUC-JIR in partnership with reGeneration, NewGround, and Muslim Public Affairs Council. 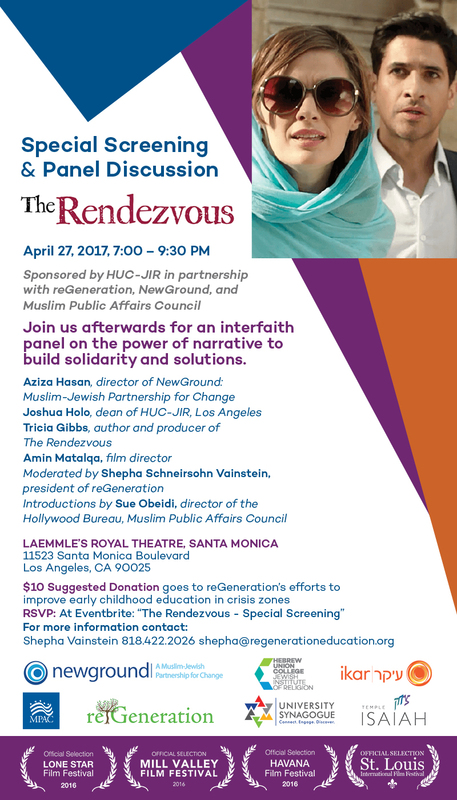 Join us for a screening of the movie Rendezvous, followed by an interfaith panel on the power of narrative to build solidarity and solutions. Click here to RSVP. Aziza Hasan, executive director of NewGround, will be part of the panel.